This is a big moment for De Smith. I’ve been critical of Smith. He’s done a disservice to his membership in several key areas. That said, this column is not about the past. It’s about the present and future. 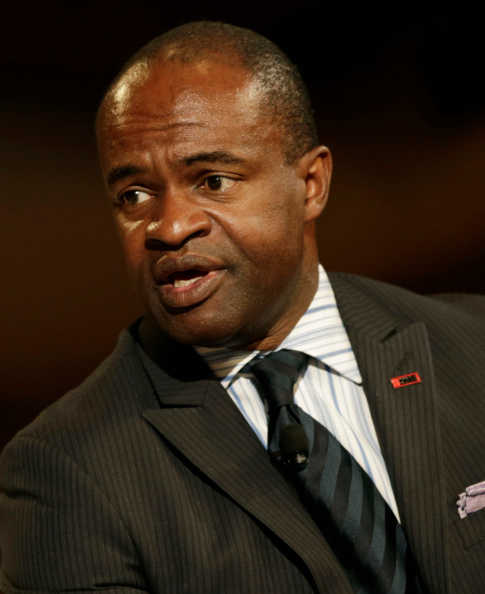 It’s about the 4 steps De Smith must take to go from weak union leader to the most powerful man in the NFL. Step 1. Don’t be the crazy uncle in the basement fighting past wars. Smith can’t get back what he bargained away in the last CBA. What’s done is done. He needs to work on gains going forward. Hard to do but essential he does it starting now. Step 2. Own what’s taken place. Don’t deflect or excuse it. A VERY small percentage of players are “bad guys”. The majority are great guys. How do you show that? First, by putting your best guys out front talking about the character and quality of NFL players. Second, Smith must create a Union Code Of Conduct designed in conjunction with his membership. Sounds crazy? You know what’s crazier? Allowing a guy trying to save his $44 million a year job to unilaterally impose MORE discipline on your membership. If the roles were reversed, Goodell would use every avenue at his disposal to take advantage of the situation. He still may. These are desperate times for the NFL’s lead dictator. A Union Code Of Conduct can include fining players from dollars due them from marketing/licensing funds. Bans from Union social and financial opportunities. These are significant penalties to players. By taking the lead, Smith will be able to negotiate a much better deal with Goodell. If not, player shaming will not only continue, but escalate. Step 3. Conduct your own Ray Rice investigation. Nothing against Mr. Mueller. However, given what’s on the line, what’s already taken place, and his ties to the league, Smith would be making a HUGE mistake not conducting his own investigation. Hire a competent, nationally respected investigator, and immediately put him to work. What if the league refuses to cooperate with a Union based investigation? Pray they do because the PR hit they take for that decision will be massive. Thus far, it appears Ray Rice is the only person who has told the truth. Or at least a version of the truth that actually makes sense. Regardless of what he did, he has rights under the CBA. It’s Smith’s job to preserve those rights. He also has to make sure Rice is not the scapegoat to save the jobs of people who may have participated in a coverup. The stakes are too high to trust the league to conduct an impartial investigation. Step 4. Create a mentoring program. Hire 2 former players (64 total) for every team to mentor players. Notice I said, “hire”. These must be paid positions. The Union is taking in enough money from agent and financial advisor dues, as well as from licensing fees, to make these hires. There are former players who love football and would love to mentor players. For example, do you think Jabari Greer couldn’t impact lives in a positive way? There are plenty of guys like Jabari out there. Hire them and put them to work. Your membership will be better for it. Smith’s entire membership, not just the bad apples, are under attack. Surround players with the best and you will get the best out of them. Putting a mentoring program together will go a long way toward helping players adjust to NFL life. Goodell’s major weapon, player shaming, would be taken away. It strengthens Smith’s position with the public and players while forcing the owners to finally take him seriously as a leader. By taking these 4 steps, De Smith can become the most powerful man in the NFL.